Nicki J Markus / Asta Idonea: DiSemblance by Shanae Branham - Book Review & Giveaway! 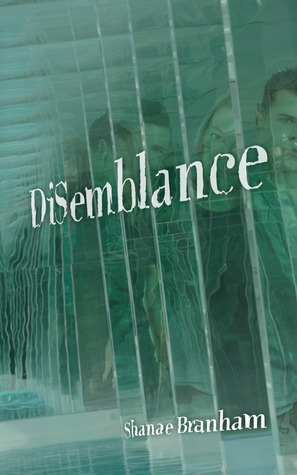 DiSemblance by Shanae Branham - Book Review & Giveaway! I was approached by the author to review this book and, since it sounded fun, I agreed to give it a go. I'm glad I did as I found this a well-written and engaging tale that kept me turning the pages so fast that I read the book in a single session. The story is interesting and catchy and the characters, particularly Jason and Bruce, come across well. The plot is fast-paced with plenty of action and the prose is easy to read. A few odd typos here and there, but overall a well-edited self-published novel. I enjoyed the use of a different font to differentiate between the real world and the programmes. It was a clever ploy and worked well. All up, I can highly recommend this YA techno-thriller and I look forward to reading more from this new author. Want to try this book for yourself? Well, now's your chance as Shanae has kindly allowed me to host a giveaway for one paperback copy. This giveaway is open to International readers and anyone over 13 years of age may enter.